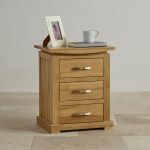 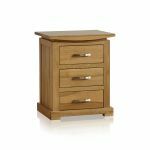 The Tokyo Natural Solid Oak Bedside Table is a charming little unit which gracefully flaunts its Japanese inspired design. 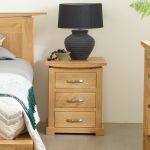 Crafted by expert joiners using only the finest cuts of premium grade oak, the table measures in at 50cms wide, 60cms high and 38cms deep, and it would make an ideal companion for our Tokyo Solid Oak Bed. 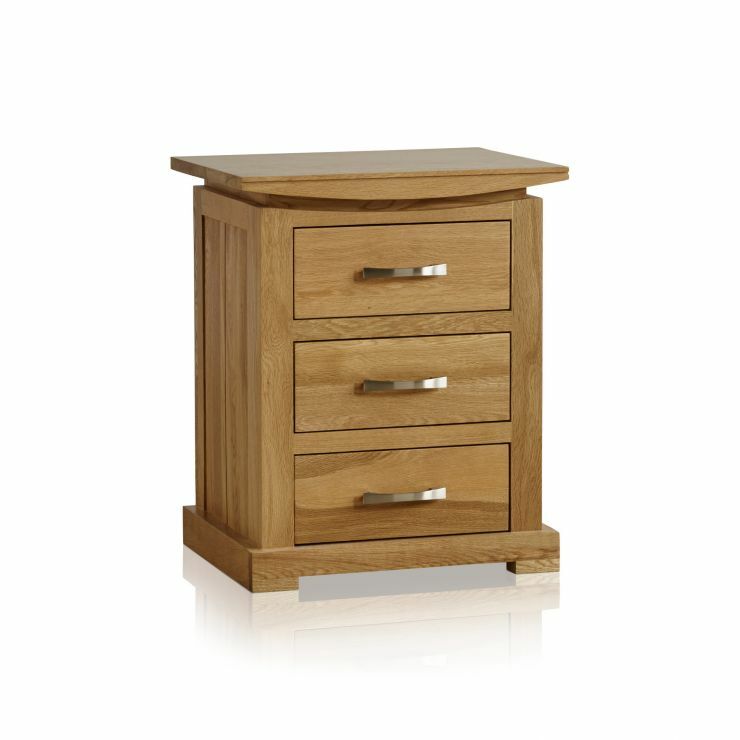 Curved brushed metal handles wonderfully mimic the shallow bow effect that adorns the underside of the natural oak top. 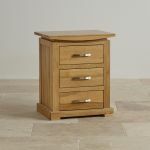 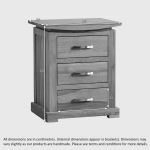 Each of the three spacious drawers is made using traditional dovetail joints, which are renowned for being exceptionally strong and durable. 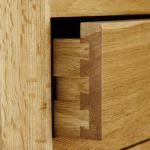 We never skimp on materials and we never use chipboard, MDF or veneer in any of our products.